As the entire drum corps community celebrates the New Year and looks ahead to the summer of 2013, this week, Drum Corps International recaps some of the highlights of 2012, today with the most read headlines on DCI.org. The most read news items of 2012, and consequently some of the most "liked" and shared of the year, were comprised of a mix of both in- and off-season topics including competitive wrap-ups, live blogs, news on upcoming events, and more. 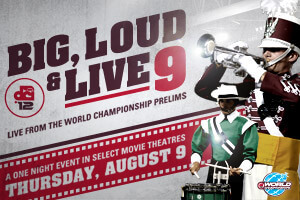 Thursday, May 10, 2012: (Stadium) LIGHTS, (TV) CAMERAS, (Drum Corps) ACTION! The Drum Corps International Tour returns this summer to movie theaters nationwide for two ultra-exciting one-night-only cinema events. DCI will once again team up with National Cinemedia's Fathom Events for the second-annual DCI Tour Premiere which will be shown in movie theaters on Monday, June 18. Taped at the kickoff event of the 2012 DCI Tour on Saturday, June 16, in Akron, Ohio, the broadcast will give fans across the country a complete look at the debut performances of six of last summer's top 12 World Class corps. Tuesday, Nov. 20, 2012: Drum Corps International will present the 41st edition of its annual summer tour, June 19 to Aug. 10, 2013. Showcasing the world's most elite marching music ensembles, the 2013 Drum Corps International Tour will span a total of 53 days and feature more than 100 competitive events in 38 states. More than 45 World, Open and All-Age Class corps are expected to perform in stadiums across the United States this summer, culminating during the first full week of August with the DCI World Championships in Michigan City and Indianapolis, Ind. Wednesday, Dec. 5, 2012: Some of the most indelible memories from a summer of drum corps come at the very end of the season, just prior to everyone leaving the World Championships stadium for the last time. The anticipation of these moments puts a pit in the stomachs of corps members standing at attention on the field, and when the placements and scores are announced, fans sometimes react with a sustained volume that threatens to short out the stadium's speaker system. 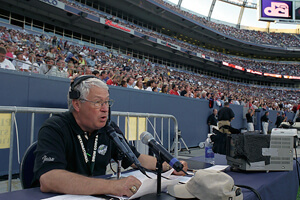 These are the moments—springing forth from the proclamations of longtime DCI Hall of Fame announcer Brandt Crocker—that stick with us for years. They're moments that define an entire season in our memories and provide us with an exclamation mark at the end of a weeklong story that continually builds suspense until the very end. 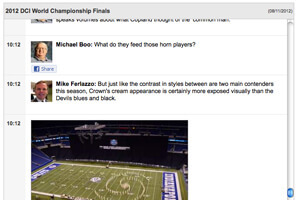 Saturday, Aug. 11, 2012: Drum Corps International staff writer Michael Boo teamed up with Field Pass correspondent and Drum Corps World reporter Mike Ferlazzo Saturday, Aug. 13, to report on all of the action live from Lucas Oil Stadium during the World Championship Finals competition. From the opening notes of the competition, to the trophy presentation to the Blue Devils after their record-setting 15th World Championship win, Boo and Ferlazzo provided their expert insights and an inside look at what was going on in and around the stadium throughout the entire evening. 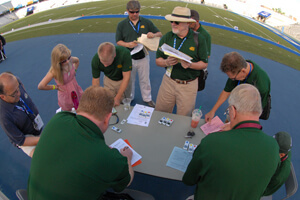 Wednesday, June 6, 2012: The six drum corps to take the field at the season opener of the Drum Corps International Tour, Saturday, June 16 in Akron, Ohio, will make history as the first to compete under a completely revamped adjudication system for the 2012 summer season. Spearheaded by DCI Artistic Director Michael J. Cesario, the inner workings of this new judging system—which has been under development for more than two years—have been put together by instructors who make up DCI's Rules and Systems Task Force (RSTF). This group is comprised of eight instructor members and two advisors, along with liaisons from the judging community. Passed by a unanimous vote of DCI's member corps, the system was further refined by the RSTF during the off-season with extensive feedback and involvement from corps instructors and designers during DCI's annual meeting and conference weekend this past February in Chicago. 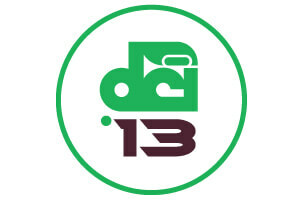 Stay on top of all of the latest news from Drum Corps International in 2013.